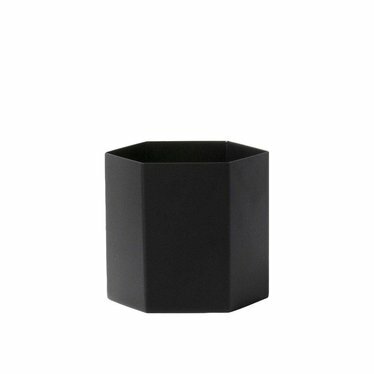 The Hexagon pot from Ferm Living in chic black. A special, metal pot for a plant, pens or something else. 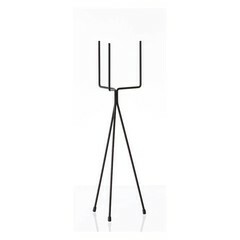 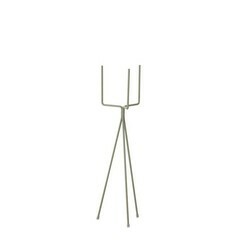 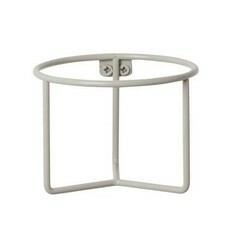 Fits the low plant stand from Ferm Living. 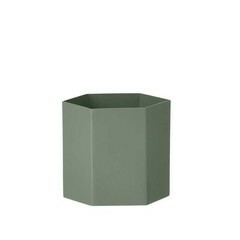 The Hexagon Pot from Ferm Living is designed as a flowerpot but is actually multi-purpose. 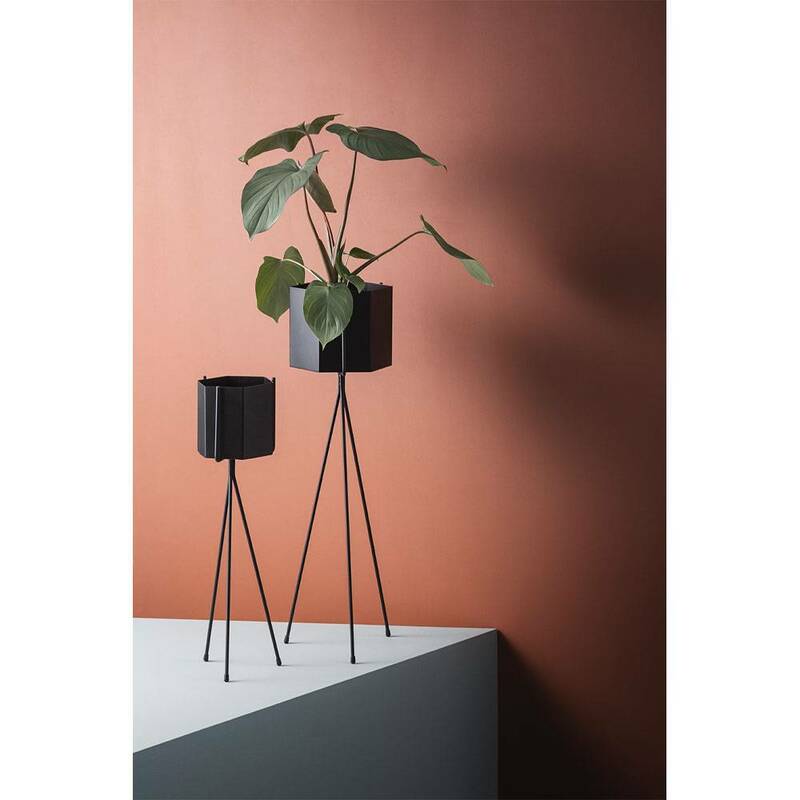 The size Large fits perfectly in the low plant standard (50 cm) of Ferm Living and the metal plant holders on the wall of Ferm Living.